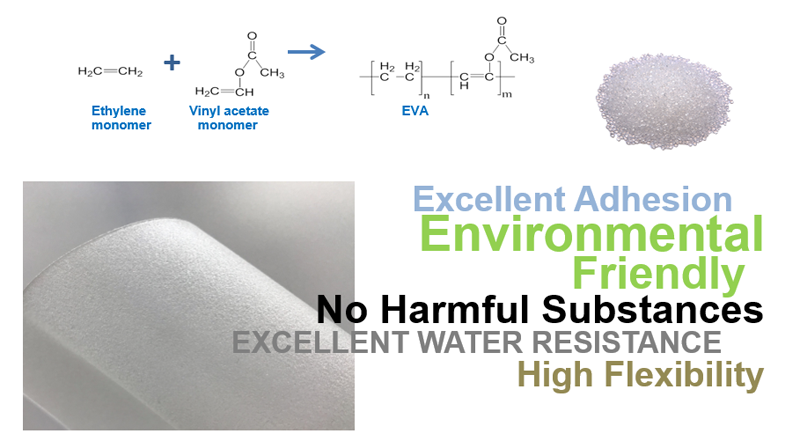 VISTASAFE™, an innovative EVA copolymer-base material, was developed by TPI All Seasons Co., Ltd. as a thermo-set interlayer for laminated glass industry with excellent optical properties, superior long term durability and open-edge stability. The material is engineered for ease of use and handling without interlayer blockage. It is available in various widths to match different applications and is suitable in glass-to-glass and decorative interlayer insertion applications both in the nipper-roll/autoclave and vacuum bag process. The production facilities are located in a class 100,000 clean room with tightly controlled procedures to ensure consistent quality. VISTASAFE™ from TPI All Seasons Company Limited is a series of high performance cross-linking EVA interlayer with a wide range of applications. high productivity for both the nipper-roll/autoclave and vacuum bag process at 110 – 140ºC. VISTASAFE™ is curing fast and reaches high levels of cross linking. Handling and storage : VISTASAFE™ exhibits excellent moisture resistance and can be stored under standard conditions at room temperature (no excessive moisture and light exposure). Reliability : Due to its outstanding adhesive strength to glass, excellent durability against heat, moisture and UV radiation, VISTASAFE™ offers very good long term durability under severe environment and outdoor exposure.